Designed to deliver crisp, bright, larger-than-life images from a short projection distance, the BenQ MX631ST is ideal for use in places where space is at a premium such as small conference rooms, training rooms and classrooms. With a powerful 3200 ANSI lumens bright image and an impressive 13000:1 contrast ratio, razor sharp image and rich, accurate colors, the MX631ST will help you present your best. The short-throw projection distance keeps the projector light from shinning directly into your eyes, allowing you to keep your focus on your audience. High contrast ratio adds depth to an image and is essential to provide crisp image detail. The high contrast ratio in the MX631ST helps produce images with stunning clarity and fine detail for sharper, easier to read text, graphics and video for more memorable presentations. The high brightness of the BenQ MX631ST helps overcome most ambient light conditions to ensure your message will be seen clearly, even with the lights on. Compatible with today’s digital sources, the MX631ST provides Dual HDMI ports to satisfy your digital connectivity needs as well as dual VGA ports for traditional analog sources. 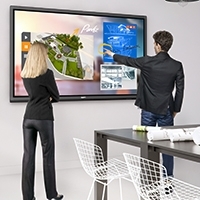 You can now share content from your favorite MHL enabled devices on the big screen. The MHL functionality in the MX631ST allows you to display pictures, movies and games from MHL enabled Android devices to the big screen. Incorporating BenQ’s renowned SmartEco lamp saving Technology, the MX631ST not only offers greater energy savings, but continues to deliver amazing picture quality through this innovative technology. 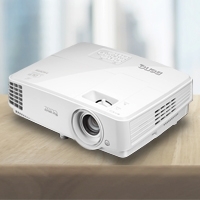 SmartEco mode is designed to use only the exact amount of lamp power a projector needs to deliver the best contrast and brightness performance. This feature enables the MX631ST to deliver uncompromised projection quality with the added benefit of reduced the total cost of ownership by extending the lamp life and lowering power consumption. Within the SmartEco Lamp Saving Technology umbrella, Lamp Care mode takes your dollars further – much further by offering an astonishing lamp life of up to 10,000 hours! When inactive, the MX631ST keeps power consumption down to a minimum of 0.5W power, further lowering your total cost of ownership. BenQ MX631ST is built with latest DLPR technology to support Full 3D functionality, allowing users to create immersive viewing experiences. Setup is easy. All that is required are 3D glasses and 3D content from your 3D Blu-ray player. With the built-in speaker, the MX631ST can be used as an audio system when it's on the standby mode. This saves you the trouble as well as the extra budget for getting a separate audio system. 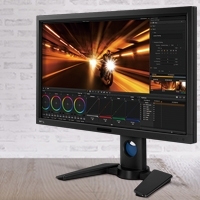 BenQ uses Colorific technology to optimize images for specific color balance effects for diverse applications such as presentations, movies and spreadsheets and photographs. Every BenQ Colorific projector generates more than one billion colors by combining up to seven different colors to create vibrant, true-to-life images. You will also experience dramatic contrasts for remarkable image clarity, higher visual impact and greater legibility. BenQ's Colorific projectors are dependable year after year. You can rely on the colors to remain the same from day one to a decade later--without the risk of fading, ghosted images, or yellowing. Clear Image Size/ Maximum Image Size 60"~120"